Posted as part of Alisa’s weekly Travel Theme: Birds. Very true words. Pictures of birds are as difficult as an Australian Sheperd named Maggie. 🙂 You take beautiful photos of Maggie! 1 out of 100 turns out. I really love the color in the background of your photo. A one in a million shot. Well done! Absolutely beautiful! Here’s to serendipity! Un-staged shots always make the best pictures.. this is wonderful!! I am a neophyte photographer. I have noticed, through my own experience and talking to real-live photographers, that there is a lot of luck involved. I think that’s one of the reasons I love it so. I agree. Looking back, my favorite photos are definitely the unplanned ones. Luck is the residue of design…nice shot. “Luck is the residue of design” I like this, thanks Robert. Thanks Mick, I agree the bird saves this one from being another sunset photo which explains why I’ve had it for a while but haven’t posted yet. It’s one of the only bird pictures I have though and it just happens to be in the middle of a sunset. 🙂 Happy New Year to you too! Perfect shot, Lisa, however unplanned! Just right! You have a magnificent photo! Thank you Annie, I sure appreciate the unplanned shots that work! Thank you, I’m really happy to hear you like it! Using fast shutter speed should help in capturing moving birds! Maybe unplanned but a stunning photo! WOW! 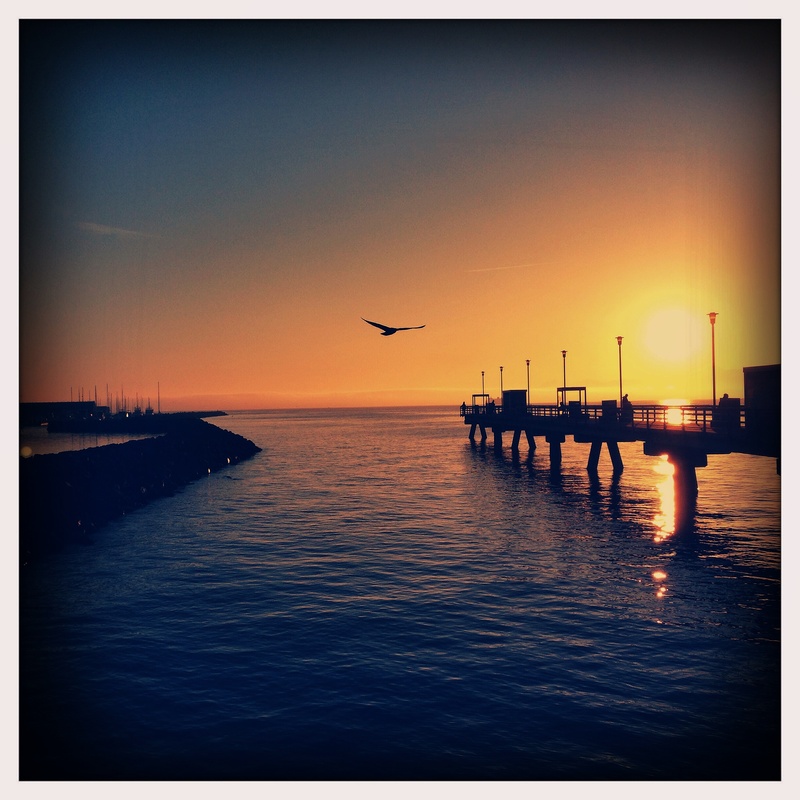 I recognize Edmonds, WA… lovely images in your blog. Thank you, I see you have some fantastic photos of Vancouver BC too. One of my favorite cities! I love the color and the feeling of this photo. Thanks Jo, I’m glad you like it and it’s nice to know we have a shared problem. 🙂 Happy New Year to you too! Really pretty – hey, have a great New Year, and who knows, one of these days maybe we’ll meet up! That’s a miracle shot. Sometimes I I prefer that to lucky shot. Thanks so much, I’m happy to hear you like it!